is a fellow with the NERC Centre for Ecology and Hydrology, the Biodiversity Institute in Oxford, and the Smithsonian Institution in Washington, DC. Her latest book is Biocode: The New Age of Genomics (2015). What causes Bill Gates sleepless nights? In a 1998 interview with the New Yorker journalist Ken Auletta, the billionaire said: ‘I fear someone in a garage who is devising something completely new.’ Later that year, Larry Page and Sergey Brin created Google in a garage. Gates’s intuition was spot-on. Today a new kind of technology promises to change the world with ‘garage innovation’. ‘Kitchen innovation’ is equally apt, or maybe ‘spare-room innovation’. The wares in development are software, but not of the sort that Microsoft or Google have ever come up with. These technologies promise to change the world in ways to rival the personal computing or internet revolutions. Maybe even eclipse both. Just as hackers break codes, so do biohackers. Only, the latter are breaking and re-writing the code of life. They work with the software of all living organisms – DNA. And rather in the way that a computer engineer might try to get the videogame Quake running on an oscilloscope, biohackers can get a piece of DNA that makes fireflies glow to do the same thing in a houseplant, in an engineering bid to try to generate electricity. All organisms are descended from a common ancestor, so it is possible to mix and match many, but not all, genes from a variety of sources in a single organism. You really can hack things together. So, if we want to know who is going to change the world next, should we be looking for two women in a garage somewhere, using cheap, accessible equipment such as water baths and plastic electrical units for separating pieces of DNA? Of course, the idea of unlicensed, unregulated hackers tinkering with the building blocks of life naturally causes alarm in some quarters. But I would like to steer towards the possible benefits. We should think big about possible biohacked solutions to social problems. On the one hand, the simplest idea often proves frustratingly elusive in the face of the rules of biology. On the other, sometimes the impossible is more possible than we think. What if we could cut the world’s carbon footprint, preserve biodiversity, end world hunger, arrest the obesity epidemic and boost nutrition, all at a single stroke? A tall order, you might think. But on the face of it, we could achieve all of this with a single innovation. Many have suggested the idea of bioengineering humans to make us photosynthetic, thus able to feed off the Sun. I don’t expect this development any time soon, but perhaps we can get close by growing our own microbial gardens – albeit outside our bodies. We have gone some way towards proving that such a simplistic diet is physiologically possible. The Elemental Diet is a nutritionally optimised, liquid diet prescribed by physicians to those with Crohn’s disease who are unable to digest food. It is balanced for human consumption but tastes awful and costs $60 a day if you were to buy it, say, on Amazon, in ready-to-drink cartons. You might also have heard about Soylent, the crowdfunded food substitute developed by the inventor Robert Rhinehart. Soylent is cheaper, at $2.42 per 400 kcal, but it is still an industrially manufactured and marketed product with non-negligible environmental impacts. The world is teeming with microscopic plants that do this job better. Microbes are the most metabolically versatile, ubiquitous and prolific organisms on Earth. I’d like my own customised grow-bag of microbes that I could live off for the rest of my life. Yes, I can hear the screams of protest at the thought of giving up a varied diet, but the benefits would be enormous. For those who don’t have enough, it could spell the end of hunger. 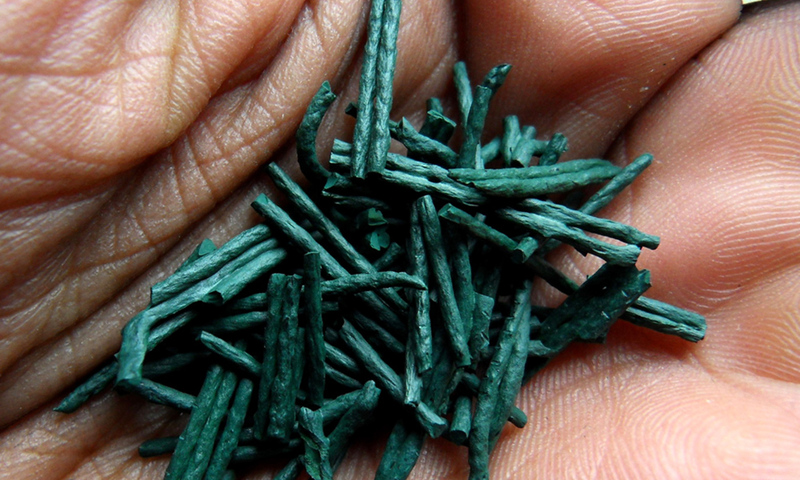 The natural stuff that likely comes closest to a growing version of a ‘miracle food’ is Spirulina. The drawback is that this green algae is so packed with goodies, there’s actually too much. It is so nutritionally dense that in your daily consumption of 2,000 calories you’d be getting 1,449 per cent of your Thiamine (B1), 1,533 per cent of your iron, and 2,142 per cent of your Riboflavin (B2). For this, you’d be eating only 700 grammes a day (less than a kilogramme). But it doesn’t taste very good. Perhaps a solution could be found through genetic engineering. It is possible to imagine a world in which we could supplement the water of our sustainable microbe gardens with minerals and trace elements to give the plants access to enough carbon dioxide and sunlight. So, to any interested DNA DIYers out there, if you aren’t already working on it, my call is for a sustainable (by which I mean self-reproducing) source of balanced nutrition that I can grow at home, and costs less than Soylent. And if one of you could make it taste good, that would be excellent.